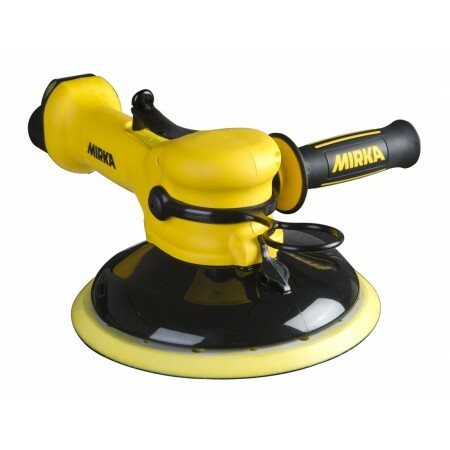 Mirka's ROS2-610CV (10.0 mm orbit) and ROS2-650CV (5.0 mm orbit) sanders are feature-packed 150 mm pneumatic two-handed sanders. The machine combines heavy duty performance and durability with low profile, light weight, ergonomic styling which makes it easy to handle and results in excellent stability during operation. The optional side handle (included in the kit) provides an extra gripping point to further increase control and reduce effort. This is an excellent machine for general sanding operations.